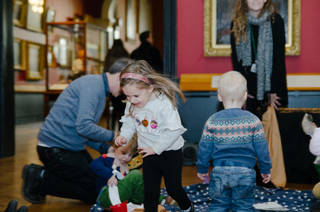 Take part in free festive activities for children under 5 and their families. Take part in a multi-sensory play session especially for the under 5s and their families, inspired by The 12 Days of Christmas. These sessions are led by our very own Visitor Experience Gallery Assistants. Sessions run from 11.30-12.00 and 12.30-13.00. These sessions are free and drop in but numbers are limited.